On the Boost Plan, you are able to add specific questions and details about your supporters. They are called Custom Properties and are only able to be viewed by the administrators of your organization. These are searchable and sortable properties that you can then assign to your list of contacts to help keep them all organized. 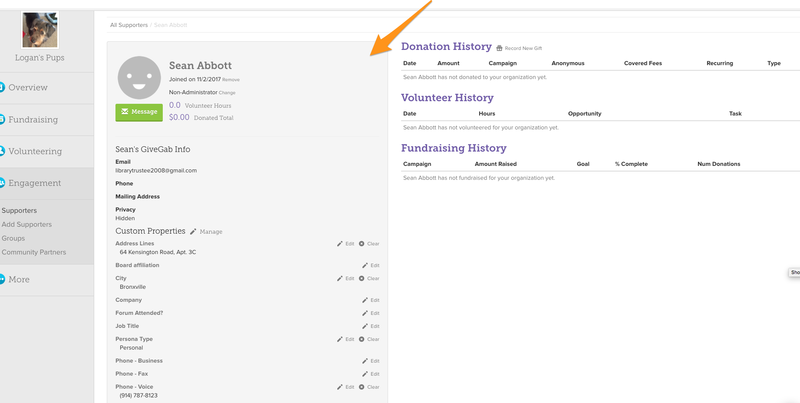 Creating custom properties allows you to add more information about your donors such as if they are on your board of directors, their job title, and any other type of information that you might want to keep handy, such as t-shirt sizes for free t-shirt giveaways or dietary restrictions for your next event. You are able to add and edit these properties at any time. Below is an example of one supporter and various custom properties that have been attributed to that person. For more information on Custom Properties check out this article!